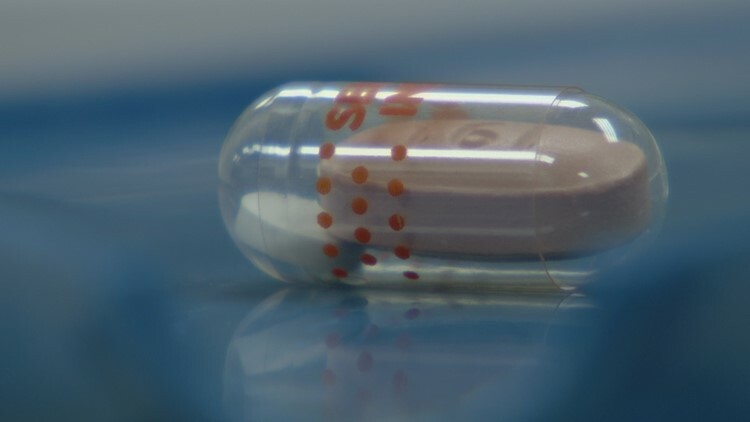 MINNEAPOLIS - University of Minnesota Health and Fairview Health are the first in the world to treat cancer patients with "digital medicine," which combines an oral chemotherapy pill with a sensor that allows patients and their doctors to track dosage. The two health partners have been using digital medicine to treat a small group of colorectal cancer patients since September, using a sensor developed by the company Proteus Digital Health. The sensor sends signals to a patch worn by the patient, which then transmits data to a smartphone or device such as an iPad. On Thursday, Proteus, University of Minnesota Health and Fairview explained the technology to the public for the first time at a symposium in San Francisco. It is a revolutionary type of treatment that ensures patients are taking the correct dosage of chemotherapy drugs, which can be difficult to track for elderly patients or from those who may be suffering from extreme fatigue. Other health providers have used digital medicine to treat other conditions, such as diabetes, but this is the first time any health system has used the technology with cancer patients. "If they're missing doses, there's a way through the Proteus app to send us a message and say, 'I missed a dose because of nausea," Fairview pharmacy manager Paul Morales said. "It's always nice to have that reassurance, that, 'did I take my meds this morning?' It's tracked, it's logged, it's there." The information is vital to health care providers now that many cancer patients have decided to take chemotherapy drugs at home, rather than undergoing treatment at a medical facility. "Beyond our regular call schedule, there's now an interim way for us to have a glimpse of what's going on at home," Morales said. Morales said fewer than 10 colorectal cancer patients are using the digital medicine, but he hopes this pilot program will continue to expand. "I really think in five years," Morales said, "it will be a much larger patient population."